The lead priorities for our 2019 State Legislative Agenda are below. 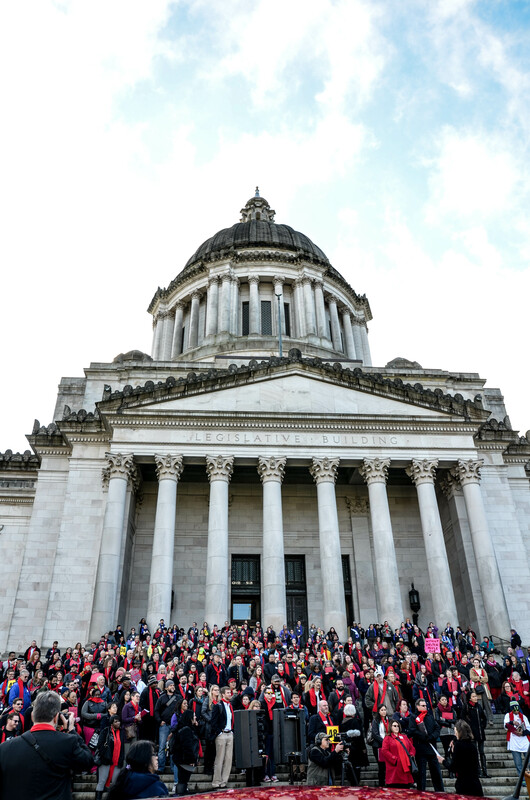 Each year, we adopt a legislative agenda in collaboration with the Washington Low Income Housing Alliance, which is approved jointly by our boards of directors, based on the recommendation of the Public Policy Committee (PPC). Download a PDF version of our lead priorities here. Pass a $600 million funding package to build homes for almost 17,000 households. Invest $200 million in the Housing Trust Fund from the capital budget. The Housing Trust Fund invests in affordable homes across Washington, but in recent years it has been considerably underfunded. A $200 million investment in the Housing Trust Fund will enable communities to build safe, healthy, affordable homes that are guaranteed to be affordable for at least 40 years. Allow local communities to retain a portion of the state’s sales tax. Communities need local resources that they can couple with state and federal dollars to build more affordable homes. Allowing local jurisdictions to keep a portion of the tax dollars they already collect and use them to build affordable homes is a smart use of existing resources. Allowing communities to bond against these dollars ensures a significant infusion of housing capital now. Make the state’s Real Estate Excise Tax work for affordable housing. Reforming the Real Estate Excise Tax to decrease the rate on lower valued properties and increase it on higher valued properties would make the tax more progressive and raise additional revenue. This revenue should be invested in the Housing Trust Fund to help solve the affordable housing shortage and create an ongoing, dedicated fund stream. Implement eviction reform and require legitimate cause to terminate tenancy. 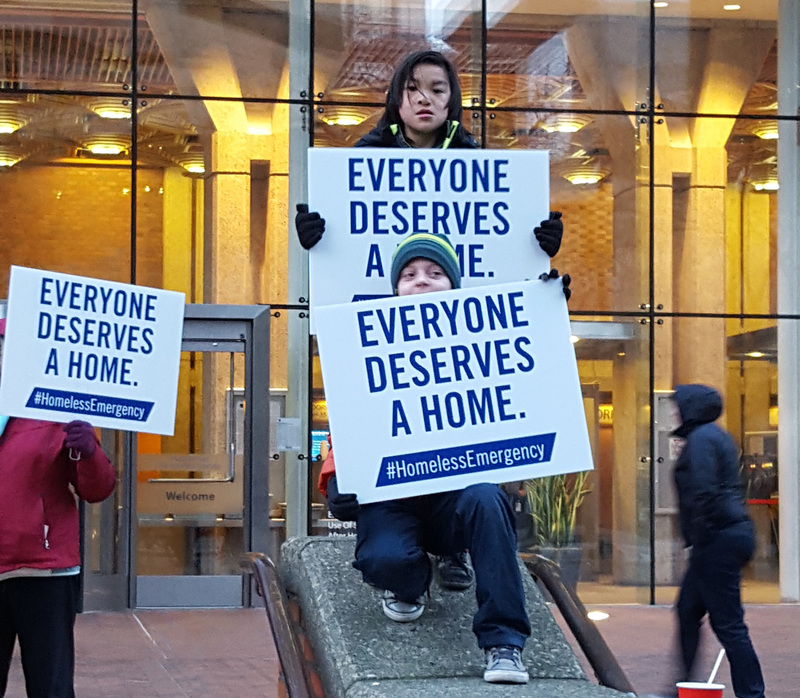 As a key strategy for preventing homelessness, Washington must provide more protections for renters to help keep them in their homes. Reforming the eviction process to increase the time a tenant has to pay the rent will significantly reduce evictions and homelessness, while also reducing court costs and attorney’s fees accrued from the eviction system. Limiting termination notices to legitimate business reasons and requiring longer notice will protect tenants from discrimination, retaliation, and displacement. Because people of color are more likely to be evicted, fixing Washington’s broken eviction system will reduce racial disparities in homelessness. Increase the Housing and Essential Needs rental assistance program by $69 million. As rents have skyrocketed across Washington, adults experiencing a physical or mental health disability are in dire need of rental assistance, and the demand has far outpaced the funding for this critical program. In many communities, all available rental assistance funds have been dispersed, and many people in need sit on waiting lists. Washington must increase funding for the Housing and Essential Needs rental assistance program in the next biennial budget. Increasing rental assistance for this population is key to solving the state’s mental health crisis. In addition to these priorities we also support efforts to increase wages so that all working people can afford a safe and healthy home. We support cleaning up our tax code so we can free up resources to solve homelessness and prevent families from having to make impossible choices between paying for a home, and paying for food, medicine, and other necessities. We also take positions on other issues that impact affordable housing and homelessness as they arise throughout the session. For a more in depth look at these policies visit the Housing Alliance's State Advocacy page.